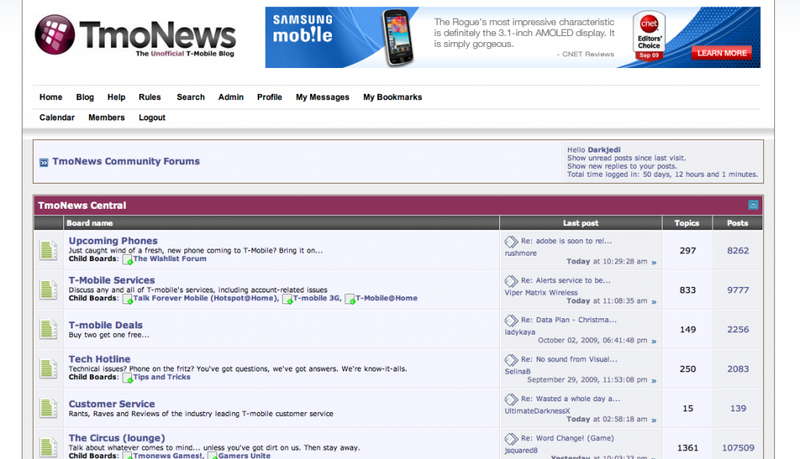 It has definitely been a long time coming, but the redesigned, improved, super hot-looking Tmonews forums are here. A while since we redid the main blog page to much appreciated fanfare. Time took a toll on the forums, however, that is all in the past. We “relaunch” them today with a completely matching look to the blog page, a first in our history! You shouldn’t be reading this anymore, you should already be on the Forums page posting away, so go, now! That’s an order! Ok, not really, but we’d appreciate the discussion! The funniest thing is, before taking my shower I got the Donut update on my G1. So I the whole new market and stuff, then I come to TmoNews to check out the latest and the forums coincide with my G1 update. I thought it was a ironic coincidence. I cant access the forums. still no luck. its been like that since last night. Just FYI, your old vBulletin site (at tmonews.com/forums) is still active and loaded up with spammers. looks nice but the adds are to big and the page doesn’t fit on my screen.